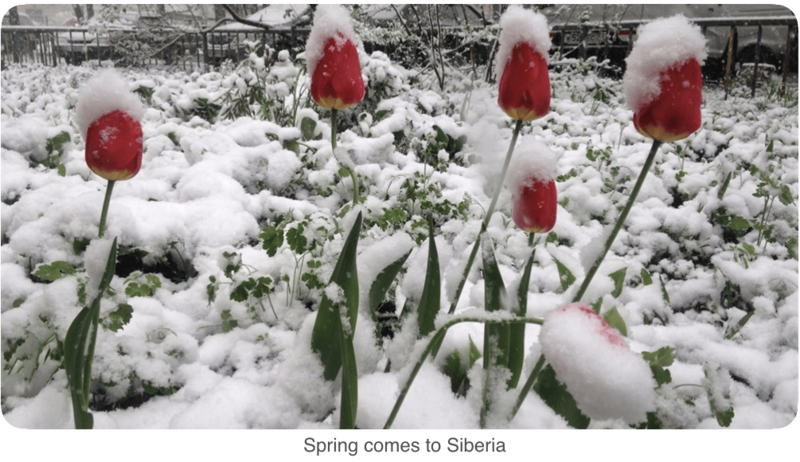 We’re based in Siberia. Yes, people live and work here. Sadly a startup ecosystem is missing. Yet, we believe there is nothing impossible. In our snowy little town, we don’t have a chance to discuss churn reduction over a beer with fellow founders. We’re optimists — there are tons of learning materials out there. In the next post, I will share resources we use to learn how to build a SaaS startup from anywhere in the world. But today let’s talk about stories. Stories with real examples are so useful and engaging. You can explore team’s actions and see what works and what doesn’t. But, only few startup journey stories are available online. The value that you get from looking at another business’ growth strategies and tactics can be tremendous. We learn a lot by following transparent companies and reading their blogs. In this post, I’ll feature 15 such companies. Also, I included websites to benchmark your metrics at the end of the post. By the way, we decided to share our story and start blogging about our startup journey. We’ll be covering our actions being transparent about our metrics, ups, and downs. I researched hundreds of blogs and startups. And you know, very few of them talk about their actual steps and results. It’s the opportunity for others and the flaw for the ones who don’t do that. I think it’s much more fruitful to talk about your process than about the actual advice you “think” you should be giving them. Here are the great teams that talk openly about their startup journeys. It attracts interest to them and builds trust. As a result, their revenues go up. Thanks for your invaluable lessons, buddies. Alex Turnbull of Groove has been blogging about his startup journey for four years. Every week he posted a new piece full of data, insights, and emotions. Groove started a journey from $28k to $100k MRR. Now the company is heading to $10M ARR. This incredible story inspired us to do the same. Alex took a break in November 2017, but hopefully, he’ll get back on track soon. Baremetrics founder Josh Pigford decided to get out of the startup rat race. He blogs about his beliefs and experiences of running a $1M SaaS company. If you’re more into listening, you can check out Josh’s podcast here. Moreover, you can see Baremetrics revenue and other metrics in real-time. Everything is 100% transparent. Hubstaff consistently blogs about their startup journey. Started in 2011 with 0 customers to date with 3,912 customers and $152k MRR. Hubstaff metrics are available in real-time. See it here. Buffer made salaries completely transparent and public. The company became a part of a movement around transparency in tech around the world. You’ll find lots of posts about the company’s journey and culture on Buffer’s blog. Their revenue and other metrics can be found here. Another source to follow is the blog of Joel Gascoigne, CEO of Buffer. Here’s his post from 2011 worth checking out: 10 lessons from my startup journey so far. ConvertKit is run, by Nathan Barry, a serial entrepreneur, and author. Here’s the story how he grew the company from zero to $125k in a month. Now ConvertKit is $10M business that’s also 100% transparent about their metrics. HotJar bootstrapped from zero to €10M ARR. It took them six months to reach €1M ARR — wow! Along the way, David Darmanin and the team have been documenting their lessons. On their company’s blog, you will find dozens of posts of their journey. Balsamiq has been bootstrapped for the past eleven years, and it was an almost instant success. Within 27 months, it made $2M in revenue and every year since. The team documented their journey starting from 2007. It’s the longest story on my list and surely worth checking out, in full. Ghost is a non-profit company that is 100% transparent about their metrics. Also, they share lessons learned along the way. The latest post is from May 2, 2016: It’s our birthday! Three years down, $600,000 annual revenue, and what’s coming next. There are nine posts about Ghost startup journey. You can read more about the company’s culture and explore their metrics at https://ghost.org/about/. StatusPage started blogging and sharing their journey in 2013. They talked about experiments, their metrics and lessons learned. In 2016 StatusPage had been acquired by Atlassian. They continue blogging, but nowadays you may face more marketing posts. Scroll down, and you’ll find gems in their older posts. Intercom recently joined the Unicorn club. Want to learn how they did that? Des Traynor, co-founder of Intercom shares his learnings on their company blog. In the early days, he blogged quite often so you can find many great posts from Des. Like this one — How Intercom got our first customers. All the 18 pages of Des posts are surely worth checking out. ReadMe is YC company that blogs about their startup journey. Do you know other YC alumni that do the same? You will find dozens of posts to learn from their experience. ReadMe doesn’t share revenue and metrics, though. A small self-funded team started Elevio in 2015. Since then Chris Duell and the team blog about their journey. Here’s their story — The journey of a startup, from idea to growth. There are 11 detailed posts on the blog. Following this journey will be interesting. Good luck, Elevio team. Laura Roeder launched Meet Edgar, her first SaaS business. Today, the company generates over $4M ARR and has been self-funded from day one. The team shares behind the scenes stories on company’s blog. You’ll find 20 insightful stories to learn from. Quuu is a bootstrapped startup that grew from 0 to 50,000 users. Influencers like Neil Patel and Sujan Patel recommend it. There are dozens of posts about Quuu journey and the product vision on their blog. 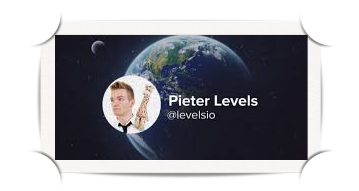 Pieter Levels is a solo-entrepreneur who bootstrapped 12 startups in 12 months. NomadList, Remote OK do well enough so that he accumulated $50,000 revenue in Feb 2018. Pieter is the author of MAKE bootstrapper’s handbook and regularly blogs about his experiments and experience. There are websites where you can get in-depth data of other companies metrics. 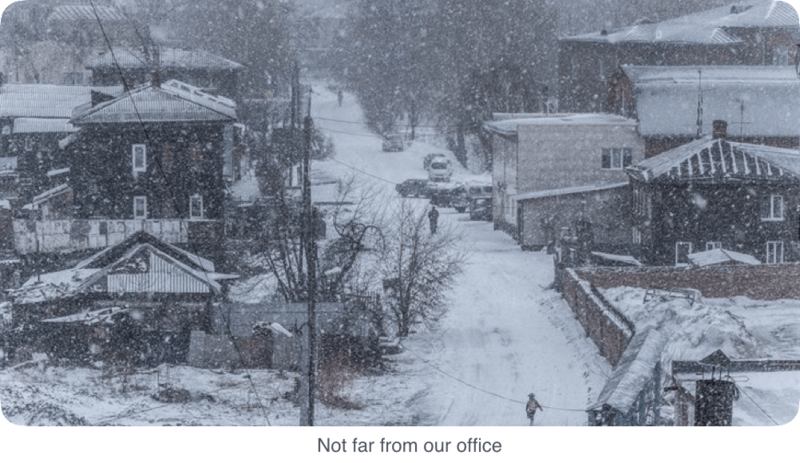 It’s invaluable to compare how we’re doing having no one around in Siberia to talk about metrics. Some people advocate against benchmarks — every company is unique. Well, that could be true especially if metrics are calculated differently. Baremetrics arguments are Open Startups and Open Benchmarks. They provide data that is calculated the same way. You can explore and compare other startups metrics there. Another great resource for insights is IndieHackers. It’s a forum and database of hundreds of startups that share their revenues. There are dozens of insightful interviews there. Here’s the largest database of SaaS companies with their revenues. Meet Latka by Nathan Latka. Nathan runs a podcast with entrepreneurs, so he has a direct access to that data. Are you running a startup and learned something along the way? Share it with all the details in the comments below. Image credits (in order of appearance): Nathan McBride, RiaTomsk, TV2.